Sorry but all of my Pokeballs have caught all of your Pokemon and I Automaticly win. Flip a coin. 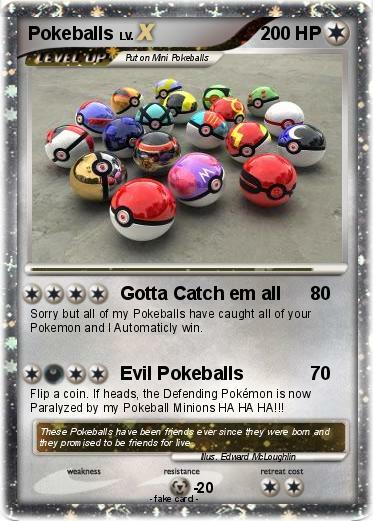 If heads, the Defending Pokémon is now Paralyzed by my Pokeball Minions HA HA HA!!! Comments : These Pokeballs have been friends ever since they were born and they promised to be friends for live.